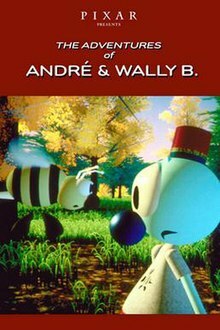 The Adventures of Andre and Wally B was Pixar’s first ever short film that was made in 1984 and unlike others wasn’t released with a feature film. It is also the shortest out of the series made, lasting a little under two minutes, despite the shortness and simplicity it still has that fun feel attached to it. It follows the story of Andre a clueless android waking up in a forest, Wally a bee decides to taunt Andre obviously becoming irritating. After a quick distraction Andre attempts to escape but Wally is quick on the case leasing into a funny chase sequence. 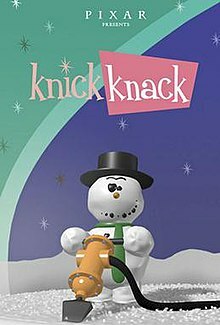 You can obviously tell both Pixar and the writer and director Alvy Ray Smith were playing around with creativity and as their first short animated film credit should be given. The characters aren’t as cute and colourful as recently released productions nor is the general picture. The story Is short and simplistic, it just shows how far Pixar and technology itself has progressed since 1984. Despite it not being no academy-award winning contender the special “Disney Pixar” feel is still very much present.